For Glasgow, it's been quite a makeover. Spruced-up neighbourhoods, revived Victorian architecture, stylish cafés and a revamped riverfront have propelled Scotland's biggest city to the top of the pile. From a declining industrial centre (with widespread pessimism about its future) to one of Europe's hippest spots, Glasgow has undergone one mighty transformation. It's hard to keep track of the number of bars and restaurants opening up in the city centre and the bohemian West End neighbourhood. Glasgow also has some of the UK's best shopping, second only to London, with its 'Style Mile' of designer and high-street brands, plus vintage finds around the East End and Byers Road. 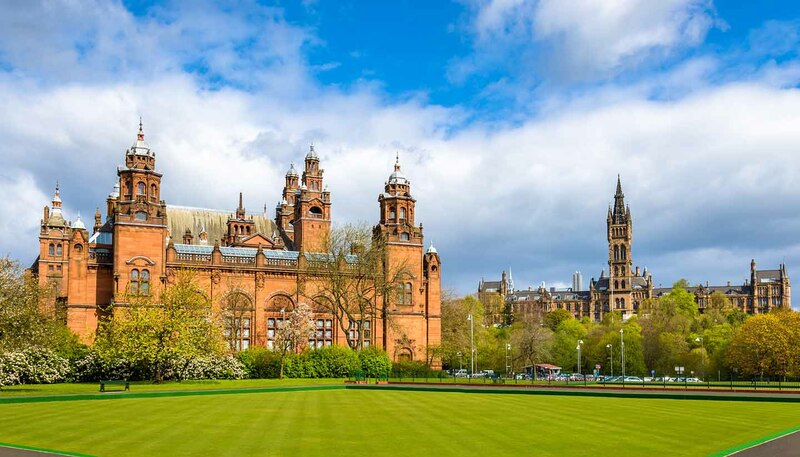 With several outstanding art galleries, including the Gallery of Modern Art and Kelvingrove Art Gallery and Museum, the city leans on its tradition of great design, apparent in the classical architecture of Alexander 'Greek' Thomson and the art nouveau-style of Charles Rennie Mackintosh. Since the 1980s, the whole city has undergone massive transformation, and its arts, music and cultural scenes are flourishing. Glasgow was declared a UNESCO City of Music in 2008, in recognition of its musically diverse output, while the Turner Prize was presented here in 2015, the first time the accolade has been handed out in Scotland. Meanwhile, one of Glasgow's oldest districts, the Merchant City, has been revitalised with boutique hotels, bars, restaurants, shops and galleries, all occupying previously derelict market buildings and warehouses. Visitors to Glasgow can also nip to some of Scotland’s most stunning landscapes. With Loch Lomond and the Trossachs National Park under an hour's drive away, the great outdoors is not far away with scenic hikes, bike routes and watersports. As with all makeovers, Glasgow is buzzing with confidence and ready to give the world a twirl, so there's no better time to explore it.